TAMPA, Fla. – The United Soccer League today announced that Mark Hall, a real estate-oriented entrepreneur based in Northern California and the President and CEO of Hall Equities Group, has acquired the rights for a United Soccer League franchise in the Oakland East Bay area. Hall is an active real estate developer and operates a nationwide portfolio of varied commercial properties, apartment buildings and hotels, as well as a variety of sports-focused businesses. Hall intends to pursue the development of a 15,000+ seat soccer-specific stadium complex to house the new club. The overall project could potentially include a hotel, a conference facility, retail and other uses synergistic to the stadium complex that would enhance the fan experience. “Located in one of the largest media markets in the country, the Oakland East Bay area fits perfectly into our mission of building passionate regional rivalries, and further strengthens the USL’s presence on the West Coast following our recent expansion in Fresno and Las Vegas,” said USL CEO Alec Papadakis. “We have full confidence in Mark’s vision and plan to bring professional soccer to the East Bay, given his track record of success in real estate investment and development across the country. Having acquired the rights to a USL franchise, Hall will work directly with local officials to secure a suitable location for a major stadium project. The goal is to have the stadium and team ready for kickoff by the 2021 USL season or sooner, if possible. “Professional soccer continues to thrive across North America, and we are thrilled to participate in its future by bringing a professional USL club to the East Bay,” said Hall. “The East Bay area is the center of gravity for soccer participation in Northern California. We have passionate fans who love the game, and I’m looking forward to building the club for this region, with a state-of-the-art venue to call their own. “We see a unique opportunity to fill a professional sports void created from the loss of the Oakland Raiders and the Golden State Warriors to venues outside of the East Bay. We intend to fill that void with soccer, which we see as the up-and-coming sport of the future, both in our region and the nation. A well-conceived stadium complex can be a game-changing economic generator for the right area, and we hope there will be a community that will find an integrated stadium, hotel and conference facility to be an attractive anchor, which will generate jobs and economic vibrancy. “Our new USL club will be a natural extension of our other sports-oriented activities currently underway in the East Bay,” said Hall, who is presently overseeing construction of the Shadelands SportsMall facility in Walnut Creek. This $45 million-dollar project is one of the largest privately financed indoor youth sports complexes in the United States, covering 250,000 square feet. This highly-anticipated facility, which is expected to complete construction by August 2018, will house seven long-established businesses conducting youth-oriented sports training. Tenants in the Shadelands SportsMall include the Ultimate Fieldhouse Basketball complex, which has recently been home to the Stephen Curry SC30 Select Camp, Encore Gymnastics, American Swim Academy, Vibe Volleyball, Mike Murphy Baseball, Sparta Taekwondo and the anchor tenant of the complex, Copa Soccer Training Center (www.copastc.com) – a subsidiary of Hall’s diversified sports business platform, known as COPA Innovation Laboratories. 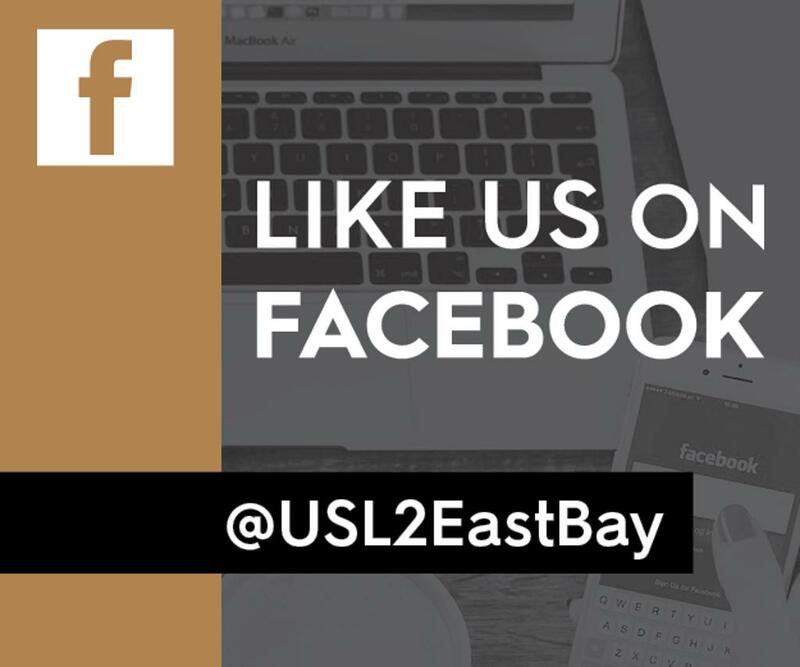 For more information, visit www.usl2eastbay.com and the organization’s official Facebook, Twitter and Instagram pages. COPA Innovation Laboratories ("COPA Labs") is engaged in the research, development and production of advanced training tools, the accumulation of athletic talent data through quantitative assessment protocols, and the operation of sports training centers. COPA Labs also expects to launch a suite of franchised business opportunities for sale in 2018-2019, employing the use of its proprietary training systems and devices. COPA Labs’ team consists of software engineers, mechanical engineers, electrical engineers, data scientists, sports scientists, trainers and others in facilities located in Northern California and Dallas, Texas. COPA Labs has license agreements and joint ventures, as well, with other firms which have similar or complementary business activities located in the United Kingdom and Germany, and relationships extending into both the Premier League in the UK, and the German Bundesliga. For more information on COPA Labs go to www.copainnovationlabs.com. Hall Equities Group is a real estate investment, development, and property management company representing the interests of select private investors and company-sponsored group investment entities. Originally founded in 1962 as a small family residential real estate brokerage business, Hall Equities Group has grown into a diversified property developer and investor with demonstrated success across multiple property types including industrial buildings, multi-family housing, retail shopping centers, branded and boutique hotels, office buildings, self-storage, subdivisions, and master planned communities. In 2015, Hall Equities Group acquired twenty-nine hotels and the corporate assets of ZMC Hotels, a Duluth, MN based hotelier. ZMC Hotels has become a wholly owned subsidiary of Hall Equities Group, and now owns or operates a total of forty-one hotels with eight additional new hotel projects under development. The combined portfolio of Hall Equities Group and ZMC Hotels now covers 165 properties across nineteen states. For more information on Hall Equities Group, go to www.HallEquitiesGroup.com. A growing league, the USL has more than doubled in size since 2014, with Ottawa Fury FC, Reno 1868 FC and the Tampa Bay Rowdies debuting in 2017. Fresno FC, Las Vegas Lights FC, Nashville SC, North Carolina SC and a new club operated by Major League Soccer’s Atlanta United are set to join the league for 2018, with Birmingham, Alabama and Austin, Texas set to join the league in 2019. Beyond league play, the USL regularly features international exhibitions against leading Premier League, Liga MX, and Bundesliga clubs, among others.